Russian investor LetterOne has abandoned a plan to engineer a merger between Telecom Italia’s Brazil division and indebted rival Oi, after TI refused to talk. A deal could still stack up after Oi has cleaned up its debts. The Russians just may not be at the table. 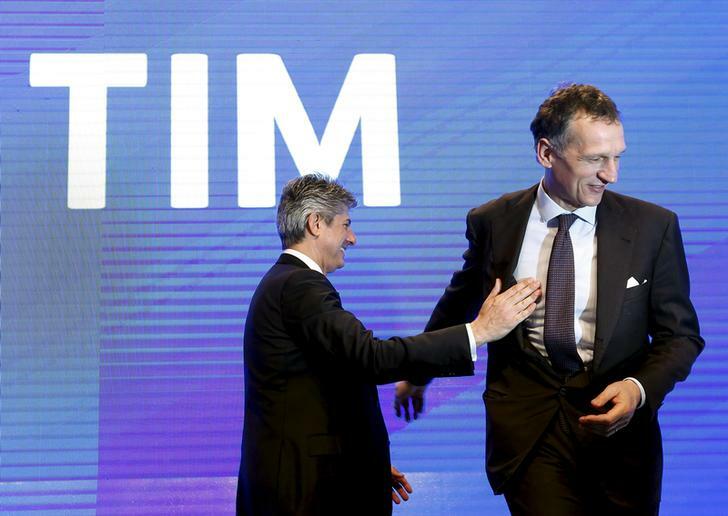 Telecom Italia CEO Marco Patuano (L) gestures next to chairman Giuseppe Recchi during the launch of the new logo of its TIM brand in Rome, Italy, January 13, 2016. LetterOne Technology (UK), an investment arm of Mikhail Fridman’s LetterOne Holdings, said it would no longer pursue talks over a potential merger between Oi and TIM Participacoes SA. In October the group said it would invest up to $4 billion into Oi, if it agreed a merger with TIM Participacoes, controlled by Telecom Italia.